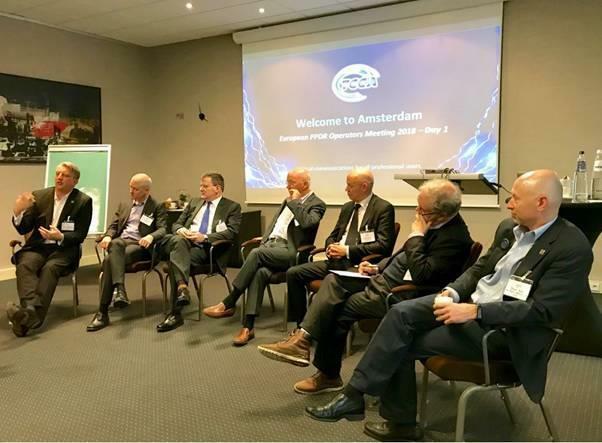 TCCA recently held a meeting in Amsterdam to discuss critical communications issues. The two-day event was attended by 40 delegates, representing 18 European national network operators alongside several commercial MNOs. Key sessions included TJ Kennedy - former president of FirstNet and current principal in the Public Safety Network in the USA – discussing procurement. Kennedy also presented on lessons learned from developing the partnership between FirstNet and AT&T. Speaking of the event, TCCA chief executive Tony Gray said: "TCCA is delighted to be leading this initiative to bring our critical communications operator members together with their commercial counterparts. We are pleased to note that several commercial MNOs have become TCCA members to pursue this engagement, and learning between the different parties." Attendees included Gösta Kallner, technical director of Ice Group, Robin Davis - Actica Consulting and chair of TCCA Transport Working Group -, and Motorola Solutions’ Jeppe Jepsen.